Did y’all see last weekend’s scathing portrait of Amazon’s workplace culture in the New York Times? It’s a fascinating and stomach-turning read detailing crying at one’s desk as a regular occurrence, marathon conference calls on Easter Sunday and Thanksgiving Day, confidential hotlines where you can “evaluate” your coworkers without them ever getting to face their accuser, and being put on “performance review” status immediately after returning from maternity leave or cancer treatment. Basically it’s a no-holds-barred approach to creating and implementing profitable ideas–extreme capitalism with nary a nod to the well-being of one’s workforce. In the work-life balance conversation, I lean decidedly towards a “work to live,” not “live to work,” approach. Reading this article made me really uncomfortable about continuing to patronize Amazon–the convenience and competitive pricing are seductive, for sure, but once you have a mental picture of a woman spending her entire vacation at a Starbucks answering work emails or a dad being told to spend even less time with his kids or coworkers conspiring to throw each other under the bus lest they themselves be culled, it’s hard to get it out of your head. I’d rather pay more or wait longer for my goods than support that kind of workplace culture. How does this relate to thrifting? If you are in the habit of shopping for clothing through Amazon, this article will make you think twice–and hopefully thrice–about continuing to do so. As an alternative, look into your local thrift store’s work climate. You can tell a lot, although not all, by just shopping there and paying attention to how employees are treated by supervisors. Ask for an appointment with the manager or research the store online. See how well it aligns with your values* and shop accordingly. *I’m planning to look into Goodwill of North Georgia’s labor practices, since Goodwills often pay disabled workers less through the Federal Labor Standards Act–controversial legislation dating from the 1930s that allows businesses to pay disabled adults, who might otherwise not have the opportunity for paid work, under minimum wage. 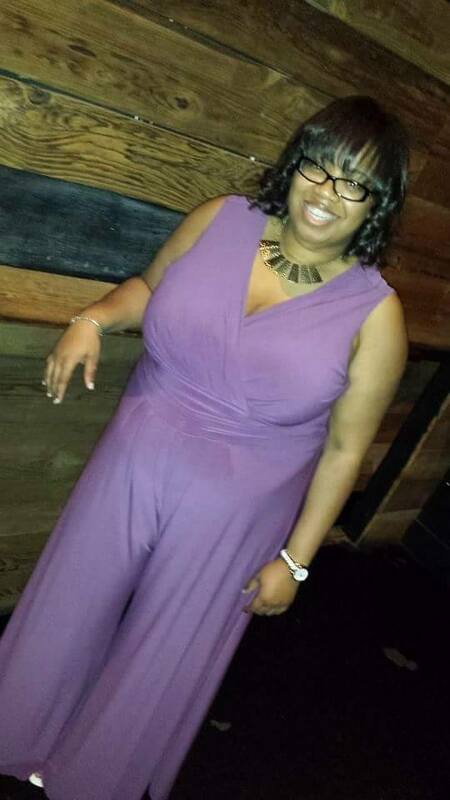 But as with the romper conversation, what most intrigued me about my friends’ comments was what lay underneath them: the implication that some clothing styles are limited to women of “a very specific body type”–i.e., the current societal ideal of tall and slim (to the point of skinny). The bodies we see modeling clothes, makeup, and, well, everything. Bodies that are fine in and of themselves but, when taken in the concentrated doses we receive as consumers of media, are not representative of the range of female physiques nor affirming of the beauty of those different physiques. I grew up, of course, surrounded by those media ideals. I also grew up with a stylish mom who gave me her eye for putting together an outfit and, inadvertently, passed on a subtle variation of those damaging standards: choosing clothing that “flatters” one’s body type. One of them wanted to buy a new pair of jeans and she talked about what kind she might want to get. “I don’t like high-waisted jeans but I have to wear them because I’m a pear shape. They are just so uncomfortable”, she said. “Just make sure you get black or dark blue ones to make your legs look smaller. And wear that with something white on top to balance it out”, said one of the other girls. “I wish I was an apple. That way I couldn’t wear tight tops, but at least I could wear dresses and short shorts. That’s good for the summer.” They all agreed. That’s what the concept of dressing for your body type/to highlight your assets and disguise your flaws does to young women (and, I’m sure, young men). When I think about how flattery/dressing for my body type has shaped the silhouettes towards which I gravitate and how I look at clothes on the thrift store rack, I see how the concept quietly but insistently reinforces my body as a bunch of piecemeal components, each with a negative or positive value depending on how it matches up to the aforementioned social ideals: this highlights my waist (good), this accentuates my belly (bad), this is cute but it gives me a bunch of extra width in the hips (bad). 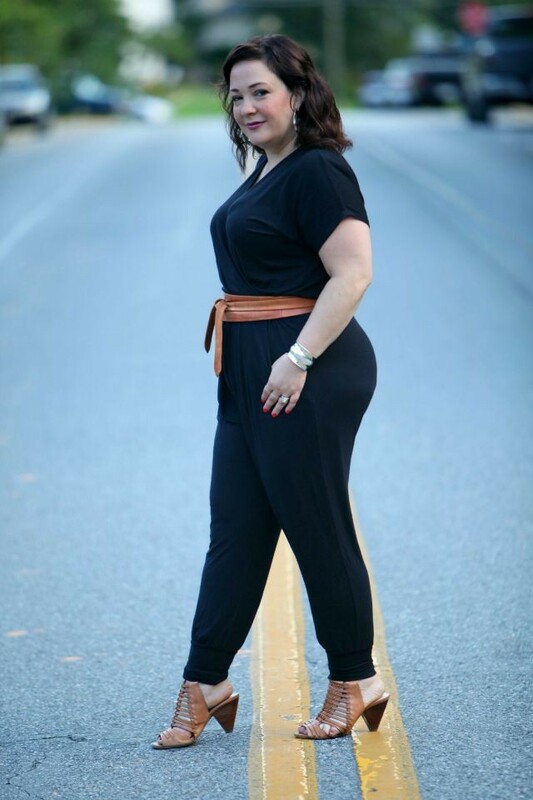 But as a feminist, as a pastor, I want to claim my body as a whole, as ALL good–as inherently beautiful and deeply useful and even as a source of delight, a playground for fashion and self-expression (amongst other things. Ahem). And I want you to be able to do the same. Because it ticks me off when we say certain styles are only for certain people. Obviously the fashion industry has a bias toward very, very skinny models and makes clothing accordingly; but especially as clothing retailers begin to wake up and make more clothing for larger body sizes, it’s only our acquiescence to objectifying social norms that bar women from wearing styles they love. And that ain’t cool. Simple concept. Revolutionary when you embrace it. Is this re-definition of flattery as mind-blowing to you as it was to me? Does the idea of flattery/dressing for your body type feel helpful or restrictive? Do you base your look on what you love, or what you’ve been told looks good on you? Scroll down to join the conversation! Read more at into mind’s great post on this subject. And thanks to Sheena and my other FB conversation partners for stirring up the waters on this one! 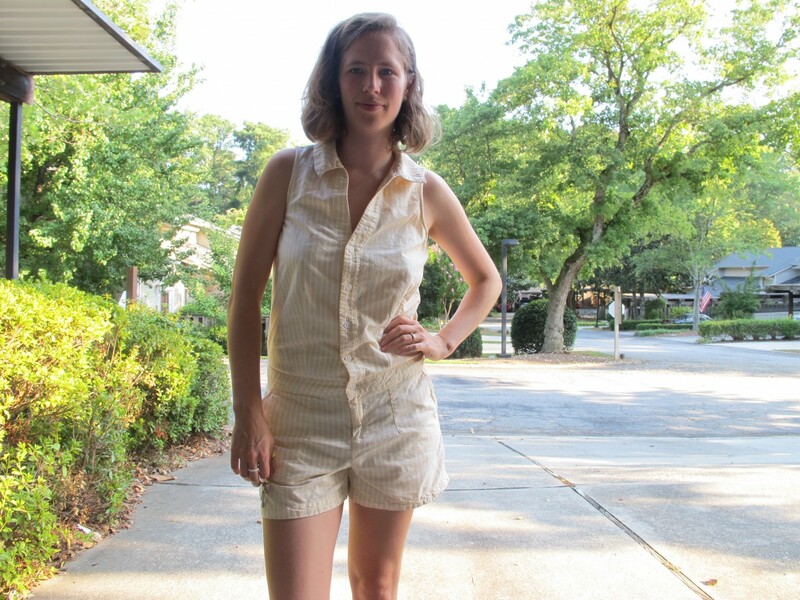 Last Friday I posted this romper as my upcoming weekend outfit: so comfortable, so cool in the heat. I posted it on my personal Facebook page with the intro: “I need you to weigh in on the romper/playsuit debate–practical weekend wear or just too much trouble for bathroom breaks?” I was curious how people felt about this somewhat peculiar garment. This post isn’t strictly thrift-related since heirlooms are not, by definition, things you found in a thrift store. Well, you can definitely find someone else’s heirlooms in a thrift store…but you get my point. However, since part of the reason I started this blog was to foster a greater love of re-using previously owned items–both for their character and as a way to steward our planet’s limited resources–finding ways to wear our heirlooms fits right into that spirit. Many are unique and tell a story all their own, and some connect me to fond memories with her. I cherish the style they add to my wardrobe and the conversations I have when they are noticed and appreciated. Most of all, it feels good to have something of hers close to me now and then. Sarah hit on something really powerful here: the ability of what we wear to connect us with those we love, whether living or no longer with us. Grandma in 1939. A portrait of substance and panache. I began thrifting probably in late junior high or early high school…the exact chronological origins are shrouded in a foggy mystique. 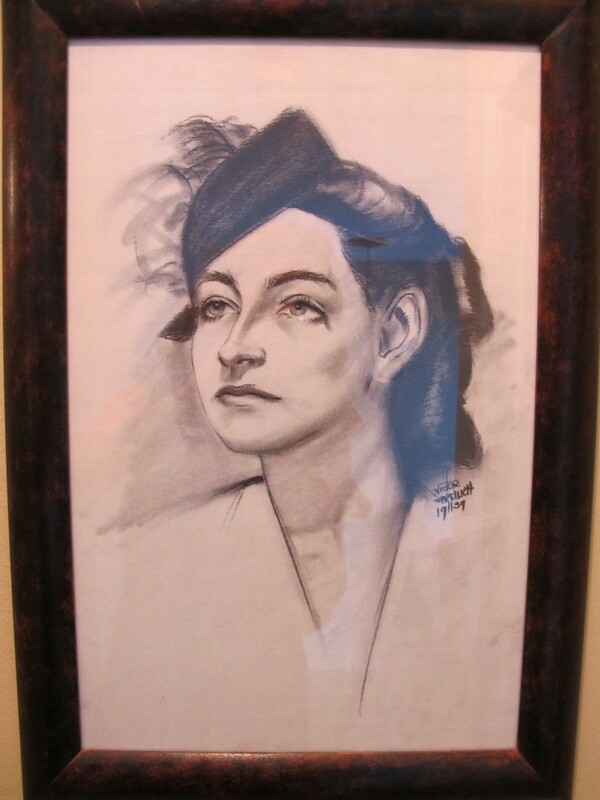 But I remember oh-so-clearly the twin geographical Edens, if you will, where my passion saw its genesis: Millie’s Treasure Chest and St. Vincent DePaul’s, both tucked away on the unassuming main streets of the tiny rural towns where my grandparents lived. 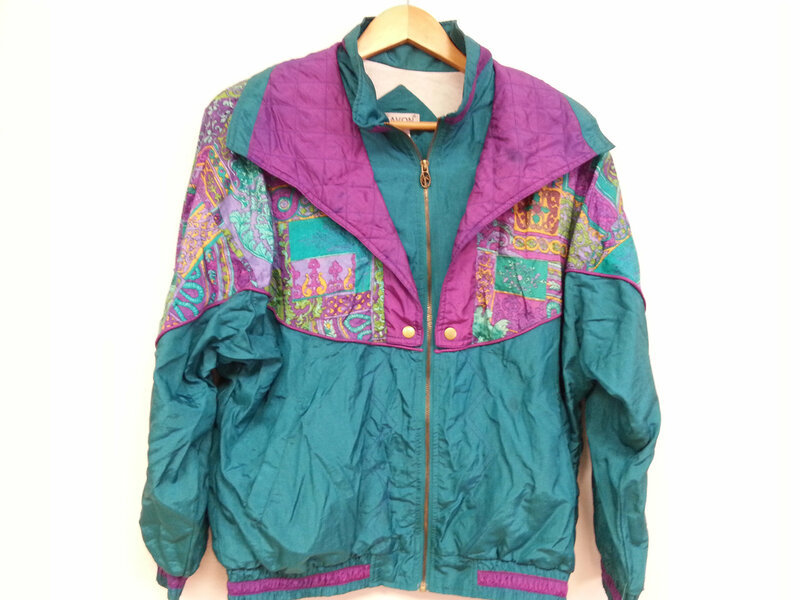 If the words “thrift store” conjure up musty smells and images of stained family reunion tees or jewel-toned windbreakers from the 90s, you may be wondering “why thrift” at all?